Did you know that running is the perfect exercise to get in touch physically and emotionally? 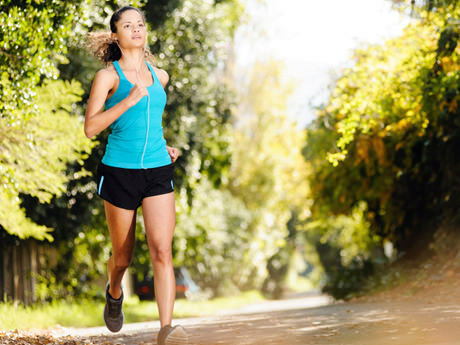 Discover the benefits of running. Running out in the morning is the best way to take advantage of all the benefits of running for health. Running tones the body, helps burn calories and get in shape quickly, effectively and healthy, especially if you exercise outdoors. Get some running shoes, wear comfortable clothes and go out to tour in the city! You impose the rhythm. Now you just have to know all the advantages that this sport offers. Running has become one of the most practiced sports. For beginner runners, it is important to remember before starting run that it is not about winning a race on the first day, but on gradually increasing distance, intensity and time. Running includes jogging and other similar exercises. It strengthens the legs, among other parts of the body, making it an ideal and natural method of preventing unsightly cellulite and as a physical exercise to combine with diet if you are willing to implement the bikini operation. Running is good for varicose veins. Running improves the digestion process and regulates appetite. In this way, practicing running on a regular basis can help us not to chop between hours and normalize the schedule of our meals, fundamentally if we want to lose weight. It improves the cardio-respiratory system. It improves the mood by increasing the production of adrenaline, serotonin and endorphins, hormones associated with happiness. Run to remove stress. An affirmation supported by science, and is that one of the main psychological benefits of running is to relieve stress and remove worries. A study by Stanford University in California also found that these benefits multiply when running in the nature. Physical activity in nature such as forests or mountains translates into greater freedom for the brain.